construct rhythm - Kne deep - Kraemer & Niereich - Nachtstrom Schallplatten, Naked Lunch and many many more. 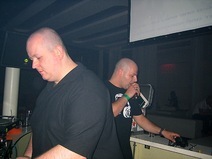 In early 1992 Andreas Kraemer starts with his Career as an DJ and Producer. In the Age of Seventeen he founds his first Label in Cooperation with PCP (Planet Core Productions) in Frankfurt am Main. This was the beginning of something that will be noticed in History . In a very short period of Time Andreas made himself a name in the whole World with a real lot of Productions. Till now he is one of those Artists who made Techno popular Worldwide and placed it in the clubs. With other well known Techno Artists as Chris Liebing, Jeff Mills, Cari Lekebusch, Ben Sims and others he had shown presence in Clubs and at Festivals like Awakenings, Dance Valley, I Love Techno, Ground Zero, Monegros, Q-Base to name only a fraction of. He also inspired the masses in Asia, the USA, Australia and several other Countries in the Clubs and Outdoor with his performances. Andreas has done an unbelievable List of productions that`s bigger than 300 Vinyl single releases in the area of Techno and Elektronic music, till now which search it`s same. 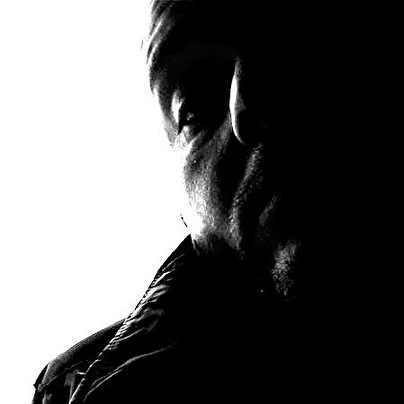 Primate, Kne Deep, Reload, Nachtstrom Schallplatten, Naked Lunch, Blackout Audio only a short list of Labels on which his Productions has been released. His own Labels Construct Rythm and Form Recordings showed, among other memorable releases from artists such as Andre Walter ( Stigmata ), Niereich, Toni Rios, Robert Natus and of course himself. His Label Construct Rythm which is reactivated since 2011 stands for Techno as it`s best and even Digital as well as Vinyl. with Abstract from November 2012 Starts. among other things, one of the reasons why many Artists choose him as producer.